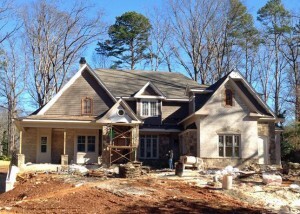 Randall Brothers provided the exterior trim, doors, windows and more for our current custom home project in Brookhaven. The Inspiration Grid: Sporting the tagline “Bringing you the best creative stories from around the world,” the Inspiration Grid features breathtaking images from a number of categories. Most notably for us are the architecture and interior design “stories”. While many of them lean toward the contemporary and away from the classic designs with which Highlight Homes most often follows, we can still appreciate their beauty and artistry. When first contemplating a renovation or custom construction project, we feel The Inspiration Grid is a great place to look for utterly unique ideas or – at the very least – inspiration for a unique idea of your own imagining. Artisan Custom Closets: This Atlanta company offers customized organizational solutions for closets, offices, garages, pantries, laundry rooms, mudrooms, creativity spaces and more. Their four-step process involves a free design consultation, presentation of customized C.A.D. designs and selection of finishes, completion of your order under the supervision of your own Design Consultant, and installation of your organizational solution. If you find yourself wishing you had more space and getting more organized was on your list of New Year’s resolutions, we highly recommend you contact the talented team at Artisan. Randall Brothers: This well-respected Atlanta molding and millwork company has an astounding history that dates back to 1885. In the current custom home we are constructing in Brookhaven, Highlight Homes has had the honor of working with the crew at Randall Brothers. They have provided the exterior trim, columns, interior trim, doors, windows, door hardware and cabinets for the project – all incredibly beautiful, featuring quality craftsmanship behind which we are proud to put our name. Need-a-Fence: The name really says it all. If you need a fence, these are the folks to call. Need-a-Fence installs and repairs fences throughout the Metro Atlanta and North Georgia areas. The company specializes in wood privacy and picket fences, decorative wood fences, ornamental aluminum fences, decorative steel fences, motorized gates, chain link fences, pet enclosures, and more. Once you’ve found the inspiration you need to move forward on that renovation project or custom home construction of which you’ve been dreaming, our experienced design-build team is ready to make your vision a reality. We welcome the opportunity to partner with you and any of the companies listed above to create living spaces that make your house a home. Call us TODAY to schedule your no-obligation consultation at 678-873-9234. To learn more about Highlight Homes and the services we provide, we invite you to visit us online at www.highlighthomesga.com. To stay up-to-date on the latest Highlight Homes news and specials, be sure to LIKE US ON FACEBOOK!